We’d love your help. 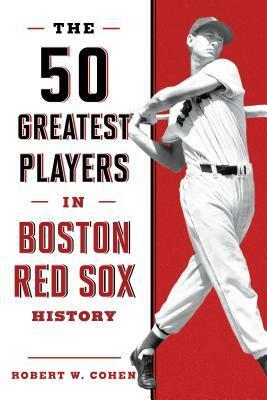 Let us know what’s wrong with this preview of The 50 Greatest Players in Boston Red Sox History by Robert W. Cohen. To ask other readers questions about The 50 Greatest Players in Boston Red Sox History, please sign up. Not too much to say Ted Williams and 49 other ballplayers are profiled. I liked that there was a broad range of players from multiple eras presented. Did you know the Red Sox were founded in 1901 and were called the Boston Pilgrims? Some great history here in this book.